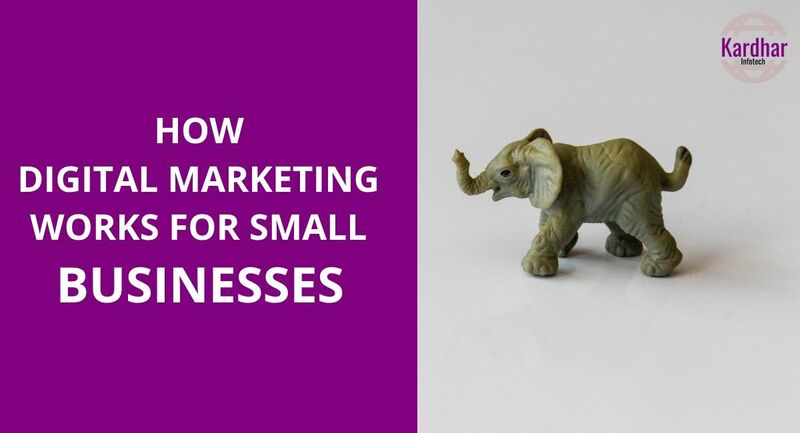 Why do small business need digital marketing is a question we frequently get asked. Small businesses -with limited marketing budgets – are competing with local and national brands when it comes to marketing. In this ever-growing digital time, small businesses have no other choices but to compete with organizations that have much larger marketing budgets. The online attribute required of businesses demands that small business compete on a higher scale. All over you look today people are highly occupied with technology. Each business needs an online strategy to thrive today. But, unfortunately, most small business owners don’t have one. Consumer expectations have changed and almost everybody has access to and frequently uses the Internet. Most of us, when we hear of a new business for the first time immediately look for a website or facebook page where we can find out more information. We don’t call into the the business, instead we look it up and if you cannot find any mark of the business online, chances are you will try anywhere that has an online presence. Always remember content is king. Creating attractive content is the best method to create a viral effect. You can do this by posting eye catching images, funny videos with knowledge, memes or writing interesting, writing blogs. This is how you differentiate yourself from rivals – have your personality shine through. The more content you create, the more publicity you will get. And for small businesses, creating content is an extremely low-cost way of marketing. Businesses without a digital plan usually don’t have clear vision for what they want to achieve online in terms of gaining new clients or building relationships with existing clients. And without a clear vision, you likely won’t put enough resources into reaching the aims and won’t be evaluating analytics. All of which can have great impacts on your digital marketing efforts. Digital marketing is very cost-effective than traditional marketing. This is especially important for small businesses as they don’t have numerous income sources. Digital marketing can provide you with a cheaper and more effective advertising channel. By increasing your digital presence you can potentially increase your sales revenue. The more coverage you can gain for your business brand, the more business leads you will generate. The more data you can mine from your outreach campaigns, the higher your ROI will be. Most businesses have now traded traditional advertising ways and are focusing on Google Adwords, SEO, Social Media. With so many business competitors out there it is actual difficult to market your small business and get ahead of the pack. Observe what is working for you, what your existing and potential clients are engaging with. Once you find out what’s working for you, repeat. We hope the above information is useful when you are thinking about your marketing strategy over the coming weeks and months.